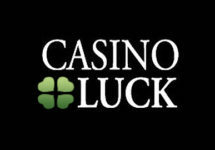 Casino Luck – Easy Peasy Free Spins Challenge! Up for a special week-long challenge on the reels of three top Microgaming slots? 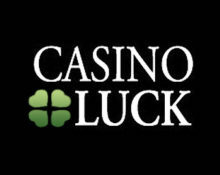 Then join the tournament at Casino Luck and compete against your fellow players for the TOP20 spots in this wager race to win up to 500 Free Spins on the race games. Play on Bar Bar Sheep, Break Da Bank Again or Emoticoins to score points and climb up the leader board until 19th April 2018. Score just one point throughout the campaign to be rewarded with 5 Free Spins. Microgaming fans and wannabees, get ready to rise to the challenge in an exciting 8-day wager race on three popular slots at Casino Luck. Collect points to compete against your fellow players and race into the TOP20 by midnight on 19th April 2018 to be a winner. All Free Spins prizes, except the 5 FS prizes will be credited the following day. Score one point for every €/$/£ 40 wagered on Bar Bar Black Sheep, Break da Bank Again and Emoticoins from game provider Microgaming. The leader board on the promotion page is regularly updated. The TOP20 scoring players by midnight on 19th April 2018 will win Free Spins prizes on the tournament games as following: 1st to 5th – 500 Free Spins | 6th to 10th – 100 Free Spins | 11th to 15th – 75 Free Spins | 16th to 20th – 50 Free Spins, credited to eligible account the following day and will be valid for 24 hours only. Wagering requirement is 50x FS winnings, subject to the Casino Luck bonus terms and conditions. All players, collecting minimum one point in the race will be rewarded with 5 Free Spins. To claim the prize, they have to log into their accounts between 15:00 – 19:00 GMT on 20th April 2018. Any unclaimed prizes will be forfeited. 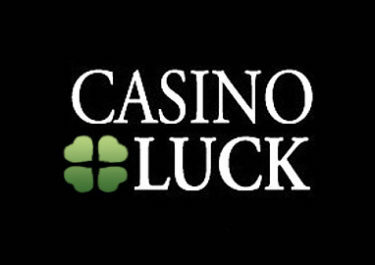 Wagering requirement is 50x FS winnings, subject to the Casino Luck bonus terms and conditions. Launched in 2011, the casino is owned by the acclaimed Minotauro Media Ltd and starting May 2017 is operated on the Aspire Global International LTD platform under MGA Malta and UK Gambling Commission licenses. On offer are a large range of games on desktop, mobile and tablet from Netent, Microgaming, Big Time Gaming, Blueprint Gaming, Elk Studios, Fantasma Games, Iron Dog Studios, iSoftbet, JustForTheWin, Lightning Box, NextGen Gaming, NYX Interactive, NeoGames, Play’n GO, Rabcat and Thunderkick. The LIVE Casino tables are provided by Evolution Gaming. The site is available in English, German, Finnish, French, Norwegian and Swedish languages and customer support is provided via Email and Live Chat, however during day time only.